Perth, Aug 25, 2011 (Global Fashion Wire) - The Third International Conference of Fashion Incubators will be held at the Parmelia Hilton in Perth from the 11th until the 13th of September 2011. Chandrima Chatterjee, Director, Compliance and Economic & Consultancy from the Apparel Export Promotion Council, (AEPC) in Gurgaon, India will be addressing the conference on 'Sourcing Textile and Apparel in India'. 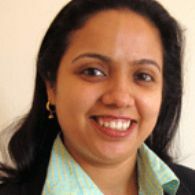 Ms Chatterjee has over 13 years of experience in economic research with various consulting firms and trade associations. She is presently heading the Compliance Cell and the Economic Consultancy Division of Apparel Export promotion Council (AEPC). AEPC is one of the largest Export promotion Councils in India with over 5000 members from the garment manufacturers and exporters across India. Ms Chatterjee has been engaged in policy consultations, strategy, and research and brand management for the Council for the last four years. Since last year, the Council has been working on the social compliance issues in this sector and today has a pan India project called DISHA - Driving Industry Towards Sustainable Human Capital Advancement. Ms Chatterjee is responsible for running this programme and working on a Common Compliance Code for the apparel sector in India. Prior to this she was Chief Economist with Confederation of Indian Textile Industry (CITI), New Delhi. She also worked with Associated Chambers of Commerce and Industry of India (ASSOCHAM), Delhi. Conference Convenor, Carol Hanlon said "We are very pleased that Chandrima Chatterjee is able to speak at our International conference about sourcing textile and apparel in India."